IMPORTANT - READ THE WHOLE OF THIS AGREEMENT CAREFULLY BEFORE ACCEPTING. TAKE A PRINT AND STORE ALONG WITH ALL TRANSACTION DATA, GAME RULES AND PAYMENT METHODS RELEVANT TO YOUR USE OF THE WEBSITE. 1.1 By clicking on the "Accept" or "Continue" or "Save" button, you represent and warrant that you fully understand and agree to comply with all of the following terms and conditions (including all posted guidelines or rules applicable to our service which guidelines and rules are hereby incorporated into this Agreement), and that failure, to abide by these terms and conditions, may result in disqualification, account closure, forfeiture of funds and/or legal action against you. If you have any questions as to these terms and conditions, we encourage you to seek independent counsel prior to clicking on the "Accept" or "Continue" button. Logic Simplified Pvt. Ltd. and www.gamentio.com reserves the right to withhold, amend, or withdraw ALL Terms and Conditions/Promotions without notice. 2.1 Member is a user who has formally registered for using the services offered by the website, and which registration has not been withheld/suspended or terminated. 2.4 Associated Person - An officer, director, employee, consultant or agent of Website/Company or a relative of such person. 2.5 Relative shall include spouse, siblings and financially dependent parents and, children. 2.8 Fair play A practice involving all stakeholders ensuring the playing of games in a environment which is free from cheating and unfair means and in strict adherence to the Terms and conditions of the Website/Games. 2.12 Gamentio Coins are coins which are awarded to frequent players. 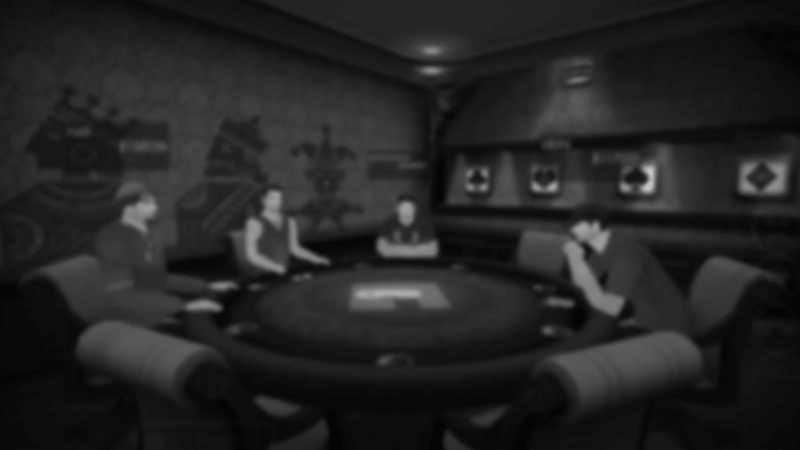 Gamentio coins may or may not have monetary value, and whether such coins are redeemable or not shall be specified at the time these are awarded to the player. 2.13 Shop is an online store provided in the Website from where a player can purchase products/coins/facilities to enable him to better use the services offered by the Website. 3.1.1 The Website and its membership is strictly private and in no way should be considered to be public. The user will have to FIRST register him with the website in order to gain membership thereby enabling him to play the games offered and/or use the software or any other product or services offered by the Website/Company or its associates. By completing the online registration process on the Website, you confirm your acceptance of the Terms. 3.1.2 During the registration process, you will be required to choose a login name and a password in addition to providing some other information which may be mandatory. Additionally, you may be required to give further personal information for your user account verification and/or for making any transaction in your user account. You must give us the correct details in all fields requiring your personal information, including, without limitation, your name, postal address, email address, telephone number(s) etc. You undertake that you will update this information and keep it current. 3.1.3 You acknowledge that we may, at any time, require you to verify the correctness of this information and in order to do so may require additional documentary proof from you, failing which we reserve the right to suspend or terminate your registration on the Website. 3.1.4 Any information provided by you to us should be complete and truthful to the best of your knowledge. We are not obliged to cross check or verify information provided by you and we will not take any responsibility for any outcome or consequence as a result of you providing incorrect information or concealing any relevant information from us. 3.1.5 The registration itself per se does not guarantee membership. The Website/Company or its management in its sole discretion reserves the right to grant membership to the user. The decision of the Website/Company or its management in this regard shall be final and shall be informed to the user by email. Gamentio shall not be obliged to accept memberships beyond the number it is open for in a calendar year. 3.1.7 The server where the software is installed and the games hosted will be placed in a strictly non-public/confidential area where the access to the server is completely restricted both physically and virtually. Any person(s) or group that are authorized to access the server where the games are held, are not allowed to register themselves as users, and eventually not allowed to become members. Such person(s) are not allowed to use the software and/or play games or use any other product or service provided by the Website/Company. This is in the interests of promoting fair play. 3.1.8 Our services and products are not available to persons under the age of 18 years on the day of applying for membership on the website. It is strictly prohibited for any user under the age of 18 years to play in Coins games or Real Money games. We reserve the right to request proof of age at any stage to verify that minors are not using the Service and we may exclude any person from playing or use of the website, if proof of age is not provided or if we suspect or have proof that a person using the Service is under-age. 3.1.9 The services and products provided by the website are not intended for users connecting to the site from jurisdictions where it is illegal to do so. 3.2.1 The applicable laws in the States of Assam, Orissa, Gujarat, Telangana and Maharashtra may prohibit a player from using the services offered on our website. Engaging in services offered by the Website from jurisdictions from where it is prohibited to do so may entail imposing of penalties on the user by the respective State Government or the Government of India as the case maybe. Our company and its website do not accept membership requests from person(s) who are residing in these states. 3.2.2 If a user residing in such states becomes a member of the site by providing false information, the liability will be solely on such user, and the company reserves the right to terminate such membership without any notice and confiscate all deposits and winnings associated with such membership. 3.2.3 You accept that Gamentio or Logic Simplified Pvt. Ltd will not be liable in any manner, for any breach by the user of applicable State Laws. 3.2.4 Users have to always ensure that they adhere to the applicable State Laws in this regard. 4.1.1 You may have ONLY ONE account on our website per person/household (hereinafter referred to as Account(s)), for which you will register using your own correct name. You may not use the service by means of another person&apos;s account. Should you attempt to open more than one account, under your own name or under any other name, or should you attempt to use the service by from any other person&apos;s account, we will be entitled to close ALL your accounts and bar you from playing games on our website immediately. 4.1.2 You should ensure that apart from these Terms, you have also read and understood the rules and regulations of the games available on the service. You agree to abide by the rules and regulations of each of the Games as published and as amended from time to time on the website. 4.1.3 The rules that govern the games and services offered by the website form part of these Terms and they will be separately available under the About Game or similar section on the website. Rules for all the games however may or may not be explicitly mentioned on the website. The user is encouraged to seek clarification by using the customer services offered. The clarification provided by the Website/Company will be final and you agree to abide by the same by accepting these Terms. 4.1.4 Gamentio reserves the right to suspend any account that has an offensive/vulgar username and/or uses abusive/vulgar language in the chat window. In addition to our Fair Play Policy, where fake users are banned, now, any user with a non-genuine FB or email ID will not be eligible for any benefits. Unless the users prove their KYC docs by providing their ID proofs (Aadhar card), which should match their details like (First Name, Last Name, Phone number and Address) on Gamentio platform, they won't be entitled to any benefits. Any user failing to abide by the above mentioned rules shall be permanently banned from using Gamentio and their account shall be deactivated resulting in forfeiture of their Coins. Each user should submit the *KYC documents (Aadhaar, Voter ID, Driving License, Passport or any government issued ID with Name and Photo) from their registered email ID at support@gamentio.com. If a user needs to cash out his winnings in Tournaments, he/she should first submit his PAN card and bank details at support@gamentio.com. In case, the user doesn&apos;t have a PAN card, he can submit the same of his Parent or Spouse, provided the bank details should match with the PAN card. User should update his Gamentio Profile by filling in his First and Last name matching his submitted ID proof. *Know your customer (KYC) is the process of a business identifying and verifying the identity of its customers. The term is also used to refer to anti-money laundering regulations governing these activities. 4.2.1 Sharing or distribution of the password with any other user/person/group or any third party is strictly prohibited. Gamentio is not responsible if your account is accessed or opened by others using your password. You are held legally responsible and liable for all of your activities on the website made from your account. 4.2.2 You understand and agree that you may be exposed to content posted by other users which you may find offensive, obnoxious or indecent, and that the website may not always be able to prevent such content being posted. Such content should be brought to notice of the website. The website shall act upon the information as it deems right. The decision taken by the management of the Website/Company in this regard shall be final and binding on the user, and the user specifically agrees that Gamentio will not incur any liability under any circumstance whatsoever regarding the same. 4.2.3 You understand that it is your obligation to protect the information you have provided on the website including but not limited to usernames, passwords, email addresses, contact details, and telephone numbers. You explicitly understand and agree that we will not incur any liability for information provided by you to anyone which may result in your account on the website being exposed or misused by any other person or any other harm or loss being suffered by you. 4.2.4 You are accountable to abide by the applicable Laws while taking part in any competition or tournament organized through the website. You undertake and agree to indemnify us against any claims, expenses or liabilities suffered by us or claimed against us by any person or entity arising out of your non-compliance of any applicable Laws. 4.2.5 You also understand and accept that your mere participation in any game/ tournament available on the website does not create any obligation on us to give you a prize. Your winning a prize is entirely dependent on your skill as a player vis-a-vis other players in the game/tournament and subject to the rules of the game/tournament. 4.2.6 You acknowledge that your participation in any game/tournament available on the website is purely voluntary and at your sole discretion and risk. 4.2.7 You understand and acknowledge that in cases where you are not able to play once a game/tournament has commenced, due to slow internet connections, faulty hardware, connectivity failure, low computer configuration, sudden increase in traffic, server or network issues or for any other reason not attributable to us, we assume absolutely no responsibility for the same and we shall not be liable to refund any loss that you may have suffered owing to the such events. Any request/claim for refund in this regard shall not be entertained under any circumstance. 4.2.8 You agree, understand and acknowledge that you will use your account with us solely for the purpose of playing on the website and for transactions with us which you may have to carry out with respect to your usage of the services. 4.2.9 You understand and acknowledge the fact that we are neither a bank nor a financial institution and that the purchases/balance standing to the credit in your account do not accumulate any interest. 4.2.10 You also understand and agree that your account maintained with us is purely for the purpose of payment of the entry/subscription fee to participate in games/tournaments made available on the website and for redemption against the prizes that you may win. 4.2.11 You also agree that you are required to furnish your PAN (Permanent Account Number) duly issued to you by the Income Tax Department, Government of India, to deduct TDS as per the rules and regulations of the Government of India. 4.2.12 You acknowledge that you are making use of the services knowing that you may suffer monetary loss and that Gamentio shall have no responsibility to you for any such loss that arises in the course of your participation in the services. 4.2.13 You may not impersonate another person or user, attempt to get a password, other account information, or other private information from a user, or harvest email addresses or other information. Where we have reasonable grounds to believe that your activities include any such acts, we may initiate appropriate legal proceedings against you as well as notify the appropriate regulatory or law enforcement authorities, apart from suspending or terminating your privileges for the use of the website. 4.2.14 You may not purchase, sell, trade, rent, lease, license, grant a security interest in, or transfer your user account, any content, currency, standings, rankings, ratings, or any other attributes appearing in, originating from or associated with the Website or by using any Services. 5.1.1 Logic Simplified Pvt. Ltd is a technology company which through its website Gamentio.com aims at providing technology and IT services to enable online multiplayer gaming in real time. Besides providing technology and IT services to enable online games of skill, the company will also create software and technology to enable playing of games of skills on multiple technology platform, real time or otherwise. Such technology will not be sold, but the users will be allowed to use it at the sole discretion of Logic Simplified Pvt. Ltd.
5.1.2 The services provided by the website are only intended to play online games of skill and for entertainment purposes only. The company is not responsible for any betting or gambling acts that may take place outside the website. 5.1.3 The Website/Company has a Random Number Generator ("RNG") software to determine the outcome of the games played on the Website. This RNG complies with the relevant statistical standards of randomness, however, it is not possible to test all possible scenarios in any testing environment and the website specifically disclaims any and all liability in connection with the RNG software used by the Website/Company. 5.1.4 You acknowledge that our RNG will determine the outcome of the games played on the Website and you accept the outcomes of all such games. You further agree that in the unlikely event of a disagreement between the result that appears on the Software and the game server, the result that appears on the game server will prevail and you acknowledge and agree that our records will be the final authority in determining the terms and circumstances of your participation in the games and related gaming activity. 5.1.5 While playing on gamentio.com users will be charged a nominal fee called "Rake" for using our services. It will be deducted as a fixed percentage of the Pot amount (which the winner gets) inclusive of tax, at the end of each game. The percentage of Rake levied is subject to change from time to time and it is the User&apos;s responsibility to keep himself updated on any developments that may occur in this regard. 5.1.6 We reserve the right to collect service charge at varying rates and at different times and for multiple types of games and other services offered by us. The service charge and applicable taxes are subject to change with the amendment of the relevant laws and the company shall levy service charge/taxes accordingly. 5.2.1 Subject to these Terms, we grant you a revocable, non-exclusive limited license to access and use the Service. This license is non-transferable. You may use the Site and the content offered there-on only for personal, noncommercial purposes. You may use the content offered for downloading for personal use only and subject to the rules that accompany that particular content. You may not use the content in a manner that exceeds the rights granted for your use of the content. You may not use any data extracting or similar data gathering tools on the content; frame any portion of the Site or content; or reproduce, reprint, copy, store, publicly display, broadcast, transmit, modify, translate, port, publish, sublicense, assign, transfer, sell, loan, or otherwise distribute the content without our prior written consent. 5.2.2 By accepting to use Gamentio as a gaming platform, you fully understand and agree that there may be instances where you may lose coins while playing a game, due to technical reasons like data connection, Internet connection, sudden increase in traffic, server or network issues. Coins may be lost due to instances of hacking or in case the user account has been suspended or terminated due to violation of the Terms. Gamentio and Logic Simplified Pvt. Ltd, its subsidiaries and associates are not liable for any loss of coins in normal course of the game or due to any extraordinary reasons as mentioned above. 5.3.1 You may not use the Site for your own commercial gain or to offer any form of advertising or promotion without our prior written consent; or to provide any false personal information or any information, content, or material on account of anyone other than yourself without permission. 5.3.2 You may not attempt to gain unauthorized access to any services, user accounts, computer systems, or networks through hacking, data extracting or similar data gathering tools, or by any other means. We may take any legal and technical measures to prevent the violation of this provision and to enforce these Terms. 5.3.3 You may not use the Site or any of our communication tools to transmit, directly or indirectly, any unsolicited bulk communications (Spam). You may not harvest information about our users for the purpose of sending (or to facilitate the sending) of unsolicited bulk communications. We may terminate your access or use of the Site immediately and take other legal action if you, or anyone using your access to the Site, violates these provisions. interferes with any other party&apos;s use and enjoyment of the Site. 5.3.5 You may not sell or redistribute the software to which you have been granted by us the license to use. You may not incorporate it or any portion of it into another product. You may not reverse engineer, decompile, or disassemble the software or otherwise attempt to derive the source code (except where expressly permitted by law). You may not modify, adapt, or create derivative works from the software. You agree to abide by all laws and regulations regarding your use of the software. You may not authorize or assist any third party to do any of the things prohibited in this paragraph. 6.1.1 Commercial use of the Software is strictly forbidden. The user is only allowed to use the Software for his/her personal use. Under no circumstances shall a user be permitted to use his/her account with Logic Simplified Pvt. Ltd for any purpose other than for playing the Games. 6.1.2 You may open ONLY ONE user account per person/household. Logic Simplified Pvt. Ltd and Gamentio reserve the right to assess the authenticity/legitimacy of a registered user&apos;s account. Should any user attempt to register with more than one account in any manner or form, the Website/Company reserves the right to Suspend/Delete/Deactivate/Ban such user&apos;s account(s) without notice and take legal actions against such user. Continued violation by any user in this regard will result in the termination of ANY/ALL of account(s) of such user, and Logic Simplified Pvt. Ltd may void and forfeit any winnings associated with such account(s). 6.1.3 The user shall not attempt to modify, decompile, reverse-engineer or disassemble the software in any way. The use of artificial intelligence including, without limitation, "robots" is strictly forbidden in connection with the Software and the Games. All actions taken in relation to the Games by a user must be executed personally by the user through the user interface accessible by use of the Software. 6.1.4 You agree that Logic Simplified Pvt. Ltd may take steps to detect and prevent the use of prohibited programs/software. Such action may include, but is not limited to, the examination of programs/software running concurrently with the software provided by Logic Simplified Pvt. Ltd/Gamentio on the user&apos;s computer. 6.2.1 Logic Simplified Pvt. Ltd holds all rights tangible or intangible for the website and all the services offered on the website including but not limited to all games and other content, promotional material, inter alia all strategic and development plans, ideas, designs, financial conditions, business plans, data banks, information related to technology and process, the technology developed including the software and methodology of usage (hereinafter referred to as "Intellectual Property"). 6.2.2 The content, organization, graphics, design, compilation, magnetic translation, digital conversion and other matters related to the Site are protected under applicable copyrights, trademarks and other proprietary rights, including but not limited to intellectual property rights. Gamentio and all Gamentio games and their respective logos are trademarks owned by Logic Simplified Pvt. Ltd. We reserve the right to add new games, modify the rules of existing games, and even discontinue any existing game at any time without notice. 6.2.3 The copying, redistribution, use or publication by you of any such matters or any part of the Website is strictly prohibited. You do not acquire ownership rights to any content, document or other materials viewed on or via the Website. The posting of information or materials on the Website does not constitute a waiver of any right in such information and materials. 6.2.4 We own the intellectual property rights to the design of and the information on the Website, including the name of the Website and the look and feel of, the color combinations, button shapes, and other graphical elements of the Website. Such intellectual property is protected by copyright, trademark, patent, and trade-secret laws, as well as other proprietary rights. We own copyright on the selection, organization, arrangement, and enhancement of the Website, as well as on our original content on the Site. We also own the intellectual property rights of the games provided on the Website. 6.2.5 The company is only permitting the user to use the Intellectual property to play the games and use other services offered and under all circumstances the user is strictly prohibited to use the said intellectual property otherwise, which includes but is not limited to copying, reproducing or transmitting any media. The user is not being granted any rights whatsoever with respect to the intellectual property by allowing him to play games on the website and use other services on the website. 6.2.6 Certain products and names mentioned on the Website may also be trademarks, service marks of their respective owners. 7.1.1 For "Real money " games/tournaments made available on the website, the user will be required to either buy "Coins/Money" or accumulate "coins by playing games" through the prescribed procedures to participate in such games. A player may add "money to his/her Gamentio account" through payment gateways provided by third-party electronic payment processors or service providers (ESPs) engaged for the purpose by the website. 7.1.2 We are under legal obligation to deduct tax at source (TDS) if a players winning exceeds Rs. 10,000/- in any game/tournament. In these cases, the player will be required to furnish his/her Permanent Account Number (PAN) duly issued to him/her by the Income Tax Authorities, if not done at the time of registration. As per the existing rates, TDS at the rate of 30.9% will automatically be deducted from such winnings and the rest will be credited into the players user account. The user will be permitted to withdraw tournament winnings only upon providing his/her correct PAN details. These limits and rates are subject to change. The obligation of the Website/Company in this regard is limited to deducting TDS as required by law and providing the player an appropriate certificate of tax deduction. We neither advise you nor shall in any manner be responsible for the user individual tax matters. 7.1.3 We reserve the right to verify your PAN from time to time and to cancel any winnings should your PAN be found inconsistent in our verification process. 7.1.4 You also understand that the balance standing to the credit in your account does not accumulate any interest. 7.2.1 You can buy facilities/products provided by the Website through its SHOP by using Gamentio Coins. 7.2.2 You can also redeem Gamentio coins earned by you during your plays on the Website to make your purchases in the Shop. 7.2.3 The guidelines with respect to how you can earn the Gamentio Coins are provided on the Website. 7.2.4 You may use the Coins earned in freerolls to make purchases in the Shop only after the fulfillment of certain conditions specified from time to time in this regard. 7.2.5 The rates of Gamentio Coins shall be solely at the discretion of the Website and the Website may according to its policies amend the rates at any time. 7.2.6 The items available in the Shop may be discontinued or new items may be added to the list according to the availability of such items or the policies of the Website. 7.2.7 The design, colour and appearance of the product may differ from the images shown on the website as we keep updating and upgrading the products we offer according to popular demand and the guidance of our experts. 8.1.1 Logic Simplified Pvt. Ltd shall conduct Tournaments from time to time on the website. Prestigious items from various brands are offered as prizes in some of such Tournaments. Unless otherwise mentioned, there is no official tie up between Gamentio and the various third party brands. Logic Simplified Pvt. Ltd shall simply buy the products mentioned in the promotion and deliver the same to the winner of the promotion. 8.1.2 By providing your mobile number on the site, you are giving Logic Simplified Pvt. Ltd the right to contact you by Call/SMS to provide you information on all promotional activity/events conducted by Gamentio and its partners. Your mobile number will not be used for any third party communication whatsoever. 8.1.3 The site shall grant Freeroll coins to users to try out the games for free and participate in certain promotional tournaments. The site shall retain the right to grant and withdraw these Freeroll coins at any time. The Freeroll coins received and/or won by playing free games confer no right whatsoever on the recipient/winning user, unless specified by the Website/Company. 8.2.1 The Website/Company may credit complimentary or "Bonus" Coins into your Account for promotional purposes, which can only be used to PLAY the Games. Bonus Coins are not redeemable and do not carry any monetary value. You are not entitled to and agree not to, redeem such Bonus Coins unless expressly allowed under the additional terms and conditions set forth in each bonus offering. You are under the obligation to comply with the additional terms and conditions set forth in each bonus offering, and/or the Standard Promotional Offer Terms and Conditions. 8.2.2 The Company reserves the right to reclaim any Bonus offerings if you do not use them within the period of time specified. The Management reserves the right to end any promotional offer at any time, without providing notice, reason or justification. 8.2.3 The Company also reserves the right to deny a bonus, or a series of bonuses, or a bonus program, to any Player or any group of Players, at any time, without providing notice, reason or justification. 8.2.4 A player may not be able to redeem the Bonus Coins that he has won only after the game(s) played with such Bonus coins and complied with the additional conditions set forth in the bonus offering. 8.2.5 Promotional or Bonus offerings are subject to certain restrictions and will not be immediately available for redemption until the terms and conditions of the promotion are fully met. 8.2.6 Bonuses are set to one per : person, family, household, geographic address, mailing address, email address, credit card number and shared computer environment (unless otherwise decided by the management). This limitation applies across all affiliations, subsidiaries and partnerships of the company. If an affiliated gaming site is running the same promotion, an individual person cannot receive the same promotion from both sites. 8.2.7 Marketing promotion may require a player to play with his Bonus Coins for a certain number of times. 8.2.8 The Website/Company reserves the right to selectively offer promotions, bonuses and special invitations to a subset of players. The Website/Company is not obligated to disclose the criteria by which players are selected for such offers, nor extend the offer to any player outside the chosen subset. 8.2.9 Gamentio Coins which are credited to your Account as a result of an Error shall be deemed to be held by YOU on trust for us and shall be immediately repaid to us when a demand for payment is made by us to you. Where such circumstances exist, we may reclaim the same from the balance of your Gamentio Coins. We agree that we shall use all reasonable endeavours to detect any Errors and inform you of them as soon as reasonably practicable. We reserve the right to correct any Error made on a bet placed and re-settle the same at the correct terms which were available or should have been available through the Operator (other than the publishing error) at the time that the bet was placed and the bet will be deemed to have taken place on the terms which were usual for that bet. 8.2.10 Additional Terms and Conditions may exist for specific bonuses. These will be displayed on the website and/or the publication where the bonus was advertised. It is the player&apos;s responsibility to familiarize themselves with any additional Terms and Conditions for individual promotions. 9.1.1 Gamentio is committed to Promoting FAIR PLAY on the website. Our Compliance Team will track game play of all players and strict action will be taken against any player(s) caught indulging in Coins Dumping and/or collusion. By agreeing to the Terms, you agree not to indulge in any unfair game practice that might provide undue advantage to you or any other player. 9.1.2 You undertake that you yourself will play in all Games in which you have registered/joined and not use any form of external assistance to play. You shall not add unauthorized components, create or use cheats, exploits, bots, hacks or any other third-party software designed to modify the Website or use any third-party software that intercepts, mines or otherwise collects information from or through the Website or through any Services. Any attempt to employ any such external assistance is strictly prohibited. 9.1.3 If you are an officer, director, employee, consultant or agent of the Website/Company or a relative of such persons ("Associated Person"), you are not permitted to play either directly or indirectly, any Real Money Games on the Website in the course of your engagement with the Website/Company. For these purposes, the term &apos;relative&apos; shall include spouse, siblings and financially dependent parents and, children. 9.1.4 Gamentio reserves the right to take necessary action, as it deems fit, against players found indulging in unfair means. The action could range from monetary penalties, temporary account suspension, redemption blocking to permanent account deactivation. 9.1.5 Users are prohibited from opening multiple accounts on the site. Gamentio reserves the right to block/deactivate any account(s) suspected of being a duplicate account. 9.1.6 Players caught Dumping Coins between accounts will be levied a minimum penalty of 50% of the Coins dumped. Coins dumping is a violation of the Tax Laws in India and Gamentio reserves the right to block permanently any account caught for repeated Coins dumping violations. 9.1.7 A user found committing any action in violation of the fair play norms and further to investigation is subject to a penalty fee at the discretion of the Website/Company. Any user deemed to be a fraud user for any reason, for example, found depositing or withdrawing from/to a fraudulent account, is subject to legal action from Gamentio management including but not limited to the confiscation of the user&apos;s balance and locking of the user&apos;s account. 10.1.1 When you use our Services, you may be required to make online payments. To process such financial transactions, we may use third-party electronic payment processors or service providers (ESPs). As required, you permanently authorize us to instruct such ESPs to handle Account deposits and withdrawals from your account. You also permanently agree that in accordance with your requests as submitted, we may give such instructions on your behalf. You agree to be certain by the terms and conditions of use of each appropriate ESP. In the event of conflict between this Agreement and the ESP&apos;s terms and conditions, this Agreement shall prevail. 11.1.1 We may allow access to or advertise third-party product or service providers ("Merchants") from which you may purchase certain goods or services. You understand that we do not operate or control the products or services offered by Merchants. Merchants are responsible for all aspects of order processing, fulfillment, billing and customer service. We are not a party to the transactions entered into between you and Merchants. You agree that use of such Merchants is at your sole risk and is without warranties of any kind by us, expressed, implied or otherwise including warranties of title, fitness for purpose, merchantability or non-infringement. Under no circumstances are we liable for any damages arising from the transactions between you and merchants or for any information appearing on merchant sites or any other site linked to our site. 11.1.2 The Website may contain links to other third-party web sites. We are not responsible for the content, accuracy or opinions express in such web sites, and such web sites are not investigated, monitored or checked for accuracy or completeness by us. The existence links do not mean that we endorse these third-party web sites or services. You acknowledge and agree that we are not responsible or liable for any content or other materials on these third-party web sites. Any dealings that you have with advertisers found on such third-party web sites are between you and the advertiser, and you acknowledge and agree that we are not liable for any loss or claim you may have against any such advertiser. Inclusion of any linked web site on our Site does not imply approval or endorsement of the linked web site by us. If you decide to leave our Site and access these third-party sites, you do so at your own risk. 11.1.3 All rules, policies (including privacy policies) and operating procedures of Merchants will apply to you while on such sites. We are not responsible for information provided by you to Merchants. We and the Merchants are independent contractors and neither party has authority to make any representations or commitments on behalf of the other. 11.2.1 Logic Simplified Pvt. Ltd will not stand the use of any abusive or offensive language on our chat boards or any other platforms. Also, you are not allowed to make false or damaging comments with regard to the Website/Company in any media or forum. 11.2.2 We hold the right to reject or delete any text, files, images, photos, video, sounds, or any other material that breaches the terms in accordance with our third party content policy posted by you on any platform. 11.2.3 Any violation may result in removal of the third party Content, a suspension of your use of the Services and/or any suitable action as may be required by us to ensure compliance of the agreement. 11.2.4 The user is advised to beware of phishing attacks, spoofed emails and links from external third party sources but claiming to be from Gamentio or Logic Simplified Pvt. The Website/Company is not responsible for such emails/messages and/or any loss arising out of clicking on links contained in them. 12.1.1 In cases where the player after having registered with Gamentio, has not for a continuous period of 60 (sixty) days participated in any games whether "Play with Coins" or "Real Money", the account of such user shall be treated as an "Inactive Account". 12.1.2 Immediately after any user account has been termed as an "Inactive Account", any Coins outstanding as the case may be, shall be forfeited. A Grace period of 30 (thirty) days will be given to the user to reactivate his/her user account. To reactivate his/her account the user will have to notify us via email. 12.1.3 If the user resumes activity within such grace period, it will only prevent account closure, however the user will not be able to lay any claim on any Coins already forfeited. 12.1.4 If the user account remains inactive even after the expiry of the 30 days grace period, such user account shall be closed without further notice. Any claim or request for reactivating the account or for refund after the closure of the account as a consequence to inactivity shall not be entertained under any circumstance. 12.1.5 Any amount from your winnings may be reported and withheld in compliance to any applicable Law. It is solely your responsibility to deal with all the taxes involved with your winnings. 12.1.6 Although payment processing will be made as soon as possible, due to our Security Reviews, payments may be delayed and withheld with us. 13.1.1 By registering, you are considered to have accepted and understood all the Terms and conditions. We recommend that you keep a copy of all transactions, rules of playing, cancellation and payment policies. Our failure or delay to act or exercise any right or remedy with respect to a breach of any of these Terms by You does not surrender Our rights to act with respect to any prior, concurrent, subsequent or similar breaches. Any competition or tournament organized by us on the Website shall be governed by these Terms and any additional terms and conditions which may be defined for a particular competition or tournament. 13.1.2 The Website/Company solely reserve the right to singly change the terms and conditions and update the same on the website. It is the user&apos;s responsibility to check the updated terms and conditions on a regular basis and to decide whether to continue his membership on this website or not. At any point of time you may choose to discontinue the use of our website or any services offered by the company. Your continued use of the Website, Service/product or the Software shall be taken as your acceptance of the changes to this Agreement. 13.1.3 If any judicial or quasi-judicial body in India declares any of these Terms or condition to be unlawful, invalid, void or unenforceable for any reason, the validity and enforceability of the remaining Terms and conditions will not be affected. Any such inappropriate Term or condition will be replaced with another term that is valid and enforceable and is in most nearly with effect to the original invalid term. 13.2.1 The company disclaims any and all Warranties, expressed or implied, in connection with the software, the site and the games, all of which are provided to the user "AS IS". Your access and use the website is at your sole risk and discretion. The Company explicitly disclaims all warranties or conditions of any kind, express, implied or statutory, including without limitation the implied warranties of title, non-infringement, merchantability, and fitness for a particular purpose. 13.2.3 No person affiliated, or claiming affiliation with the Site has authority to extend such Warranties. You agree to assume the entire risk as to the results and performance of any software and/or games availed by you on www.Gamentio.com. As such, result and performance among other things depends on your Internet connection and hardware. You also assume the entire cost of all servicing, repair and/or correction of your hardware when you access, download or execute software or games available on www.Gamentio.com. The Company explicitly disclaims liability for any delay or failure to perform resulting from installation of its games or software on your computer. use of www.Gamentio.com by any other person accessing the Services using your username or password, whether or not with your authorization. The Company reserves the right to change, modify or delete the Website, information, and terms & conditions listed on this Website at any time without prior notice. 13.3.1 We and our affiliated parties are not liable for any indirect, special, incidental or consequential damages (including damages for loss of business, loss of profits, litigation, or the like), whether based on breach of contract, breach of warranty, tort (including negligence), product liability or otherwise, even if advised of the possibility of such damages. The negation of damages set forth above are fundamental elements of the basis of the bargain between us and you. This Website and the products, services, and information presented would not be provided without such limitations. No advice or information, whether oral or written, obtained by you from us through the site shall create any warranty, representation or guarantee not expressly stated in this agreement. We do not provide legal advice nor enter into any attorney-client relationship. You clearly understand and agree that the company shall under no circumstances be liable for any direct, indirect, ancillary, special, incidental, consequential or exemplary damages. This includes, but is not limited to injury, claim, loss of data, loss of income, loss of profit or loss of opportunity, loss of or damage to property, damages for monetary loss, goodwill, use, data or other intangible loss (even if the company has been advised of the possibility of such damages), resulting from or arising out of the use of or the inability to use the service, even if we have been advised or become aware of the possibility of such damages or loss or that such loss was foreseeable. You agree to indemnify us against any claims in respect of any such matter. 14.1.1 This Agreement shall in all respects be governed, interpreted by, and construed in accordance with the Laws of India. All disputes, differences, complaints etc., shall be subject to Arbitration under the Indian Arbitration and Conciliation Act, 1996. The arbitrator will be appointed by the company. The place of arbitration shall be Dehradun, Uttrakhand, India. 14.1.2 In case when at the time of a dispute, there is no Arbitrator appointed by the company for whatever reason, such dispute shall be subject to jurisdiction of Courts in Dehradun, Uttrakhand. 14.1.3 There could be instances where the company is not always able to receive prompt updates about the change in applicable laws of your place of stay. It is your duty to ensure that any activities you engage on the Website are legal as per the applicable Laws. You agree to indemnify and hold harmless the Website/Company from any claim, demand, damage, or loss whatsoever as a consequence of your non-compliance with the laws of your jurisdiction. 15.1.1 This Agreement shall be treated as though it were executed and performed in Dehradun, Uttarakhand (India), and shall be governed by and construed in accordance with the laws of the State of Uttarakhand. All legal proceedings arising out of or in connection with these Terms shall be brought solely in Dehradun, Uttarakhand (India). You expressly submit to the exclusive jurisdiction of said Courts and consent to extra-territorial service of process. 15.1.2 The Site contains information and press releases about us. While this information was believed to be accurate as of the date prepared, we disclaim any duty or obligation to update this information or any press releases. Information about companies other than ours contained in the press release or otherwise, should not be relied upon as being provided or endorsed by us. 15.1.3 You shall not transfer your rights under this agreement in any way whatsoever without our prior written consent. The Website/Company may at its sole discretion grant or deny such consent. 15.1.4 It is your responsibility to inform us of any changes to your registration details. You shall provide us with all information requested by us and necessary for the operation of the Player Account, including, but not limited to, proof of identity, notarized documentation, proof of address, utility bills, bank details. You shall provide us with any such requested documents immediately upon request and not later than within a reasonable time of response. 15.1.5 The language in this Agreement shall be interpreted as to its fair meaning and not strictly for or against either party. 15.1.6 Reference to the singular shall include the plural and vice versa and references to the masculine shall include the feminine. 17.1.2 This agreement is effective from the moment of acceptance by clicking on the "I agree" button, and shall remain in force indefinitely unless terminated. For the avoidance of doubt it is agreed that you are bound by this Agreement if you use the Website or the Software in any way. 17.1.3 Your right to use the Site automatically terminates if you violate these Terms or any rules or guidelines posted in connection with the Website. We also reserve the right, at our sole discretion, to terminate your access to all or part of the Website, for any reason, with or without notice. 17.1.4 You are free to discontinue use of the Services on the Website at any time by intimating us of your desire to do so by sending an email sent to us at support@gamentio.com.